John Bannon is well known for his card tricks that have simple but interesting plots, powerful effects, but fairly easy to do without having to resort to heavy sleight-of-hand. ESP By The Numbers is another one of such effects. It does not use playing cards but ESP cards with different numbers printed on them. The performer wishes to test the intuitive capability of a spectator, and introduces a deck of ESP cards which also have a different number printed on each of them. In an open manner, the spectator chooses 5 ESP cards and places them in a row. The performer then shows the ESP Ability Test card – it depicts a row of 5 ESP cards that have different symbols. When the spectator turns over her 5 selected cards, they consist of the same 5 ESP symbols as that shown in the Test card, and also arranged in the exact same manner! This proves the intuitive or ESP capability of the spectator. Just when you think the effect is over, the spectator is asked to add up the numbers on her selected 5 ESP cards. The performer then shows that the numbers on the other ESP cards that are not selected are all different. The spectator’s total matches exactly the predicted total printed on the back of the ESP Test card. There is a comical element in presenting this predicted total to the spectator, which is nice. Another coincidence to convince the spectator of her powerful ESP capability! ESP By The Numbers has a double climax. You receive a deck of the specially printed 25 ESP cards with numbers in a nice presentable box. You also receive the special ESP Ability Test card with the predicted total printed behind it. Video instructions are available for download from the internet. The effect works on a popular matrix force. John uses a special version of this force called Matrix Reload. In the video, John teaches another (playing) card effect using this force. He also shows a special mixing technique called “Deal, Drop, Flip”. This enhances the randomness of the cards, but actually does not mix them at all. You get 2 great effects for the price of one! Many of you know I am a fan of rubber band magic. I released my effect Really Linked many years ago. There are many rubber band effects out there and the most popular one would be Penetrating Rubber Bands by Arthur Setterington. This effect is better known as Crazy Man’s Handcuff made popular by Dan Harlan and Michael Ammar. TRU is a multi-phase routine whereby each phase looks more impossible than the previous phase. The package comes with a link to download/stream the video as well as some rubber bands. The rubber bands are of very high quality made by Joe Rindfleisch. The rubber bands are latex free and comes in black and white color. They will last you a long time. If you need other colors, you can get it from your favourite dealer. Anyway, while watching the demo on the instruction video, I was really impressed. There are so many rubber band effects out there and I really doubt anyone can come out with something different and unique. TRU is something different and unique. While the effect looks really nice, the method is simple enough to understand but a little tough to execute. Don’t expect to be able to do the routine within an hour of watching the video. You will need some practice or rather, you will need a lot of practice. The basic effect is that the rubber band penetrating the fingers in various impossible way. There is a phase where the rubber band penetrates your finger into your spectator’s finger, that is so visual and magical. There is also a phase where you use the cables of your earphones. Lindenfeld also shared a version using a hairband. Anyone who likes rubber band magic should take a look at this. This is good stuff. B’Wave is a 4-card packet card trick popularized by Max Maven. In this effect, a packet of 4 Kings is placed face downwards to one side on a table. A suit is freely called out by a spectator. The King of the chosen suit is the only King that is shown to be face upwards from the packet of 4 cards. The other 3 cards are then shown not to be the other 3 Kings, but all blank cards! Nitrate is backwards B’Wave. In effect, the King of the chosen suit is the only card shown to be facing upwards from a packet of 4 cards. The other cards are shown to be blank cards. The King of the chosen suit is taken out of the packet and placed face downwards onto the spectator’s hand. When the spectator turns over this card, it becomes blank. The other 3 blank cards are now shown to be the other 3 Kings! There are a lot of magic taking place, but only 4 cards are used. You do need to know how to perform some basic card sleights, in particular, the Elmsley and frustration counts. You are supplied with the 4 special cards inside a nice small silver envelope. The cards are all in bicycle backs. A video instructions is available for download from the internet. The video has Cameron Francis explaining how to perform the effect. He also teaches you all the sleights needed to perform Nitrate, including some variations such as the Rumba and Kiss Counts. You are also supplied with a small but nicely printed accordion-folded sheet of instructions. However, they do not include descriptions of how to perform the various sleights. For these, you have to refer to the video. The Ruma and the Kiss Counts are really nice slights for you to use as an alternative to the frustration count. B‘Wave becomes a hit because of its interesting plot. 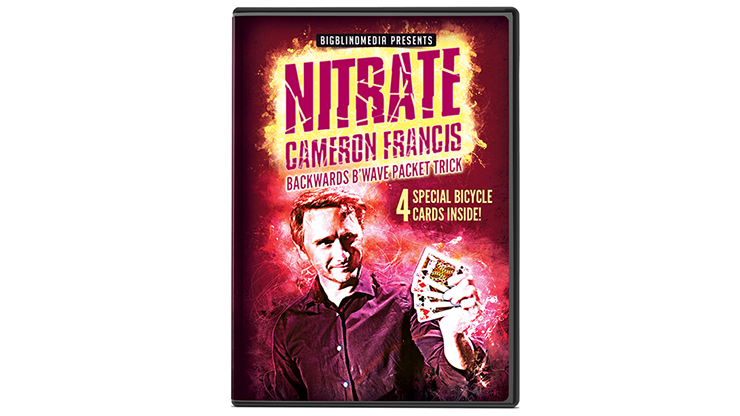 Backward B’Wave has an equally captivating plot, and Nitrate will certainly become popular with magicians. Emoji is everywhere. It is the “in-thing” to everybody. We use emojis in our social media. There are myraid merchantise bearing emoji umages. If we can incorporate emojis in our magic, we are considered to be performing magic with up-to-date items. Jeremy Pei’s “Emoji Cards & Sticks” is more than a magic effect, they are a useful resource for performing magic with emoji. You receive 2 sets of 5 emoji cards, each card depicting a different emoji. The cards are of playing card size and are beautifully printed. An important fact about these cards is that they are subtly marked on their backs so that you can identify each emojin printed on their fronts. For people not in the know, it is not apparent that their backs are marked. You also receive a well-made and cute looking emoji stick to be used in paddle tricks. You are given a video link to Jeremy Pei’s Personal Magic Coach website where he teaches 3 effects using the emoji stick and cards. Emoji Rod – 5 different emoji cards are shown and then turned face downwards and mixed. In a fair process of elimination carried out by both the spectator and the performer, one emoji card is left behind as the chosen emoji. A yellow paddle is shown to be blank on both sides. After touching it on the face of the chosen card, an identical emoji appears on the paddle. The same emoji then appears on both sides of the paddle. The next 2 effects do not use the emoji paddle but involve use of both sets of the 5 emoji cards. Emoji Prediction – the spetator and the performer each has a set of 5 emoji cards. The spectator places any emoji card face downwards on the table. The performer follows by taking one emoji card from his own set and places it face downwards on top of the spectator’s card. The spectator continues by placing another emoji card face downwards on top of the packet. The performer follows with another of his emoji cards. This process continues. Despite the fact that the spectator always places her card first face downwards, the performer was able to match every one of spectator’s cards with his own set of emoji cards. Emoji Match – performer uses both sets of the 5 emoji cards. He shows a different card with the phrase “Mind can be controlled”. The 2 packets of cards are used to spell to each letter of the entire phrase – a spectator decides which letter to be spelt from which packet of cards. After spelling to the end of each word, the top card from each of the 2 packets are turned over and found to be a match. The 5 pairs of cards matched exactly after spelling to the entire phrase, proving that the mind can indeed be controlled. As mentioned, the emoji stick and cards is really a resource for your magic with emojis. The 3 effects provided by Jeremy are merely 3 different examples of how you can use the emoji paddle as well as the marked cards. This should set your mind thinking so that you can come out with other effects of your own using the emoji paddle and cards. The 2 sets of nicely printed emoji marked cards is truly an asset to add to your arsenal of close-up magic. Incidentally, the different magical principles used by Jeremy in each of his 3 effects provide further resources for you to apply to create your own effects. On the whole, the Emoji Stick & Cards is a worth-while investment that can provide you with many-fold returns for your magic. Paul Gertner created “Unshuffling The Faro Shuffle” some 30 years ago and it has quickly become a classic in card magic because it is a novelty to find a message inked on the edges of the cards, and then by shuffling the cards, the original message changes into a different one. It is unthinkable to be able to improve upon this already wonderful creation.Paul Gertner created “Unshuffling The Faro Shuffle” some 30 years ago and it has quickly become a classic in card magic because it is a novelty to find a message inked on the edges of the cards, and then by shuffling the cards, the original message changes into a different one. It is unthinkable to be able to improve upon this already wonderful creation. Perhaps, the motivation to fool Penn and Teller in their show “Fool Us” had led Paul to come out with a kicker to his original routine. He performed this improved version in “Fool Us” and caught Penn and Teller by surprise and indeed fooled them. In effect, a deck of cards is shown mixed up. The performer explains that each card is identified by a marking along its thin edge. When assembled together, the markings along the edge of the deck of cards form a meaningless pattern. A card is selected and lost in the deck. The deck is shuffled, but the performer calls it anti-shuffling or “unshuffling”! Strangely, the markings on the edge of the deck rearrange to form 4 identical rows of the word UNSHUFFLED. One more mxing of the cards, like a riffle shuffle, and the markings on the edge become 2 rows of the word UNSHUFFLED. One final shuffle and the marking becomes one large word UNSHUFFLED! To prove that the entire deck has been “unshuffled”, the deck is spread face upwards to show that every card is now nicely arranged as in a new deck order! However, the identitiy of the selected card has yet to be revealed. One more shuffle and the message on the edge now rearranges to spell the name of the selected card! This impossible looking routine must have been either accomplished using very advanced card techniques, or, it is indeed done by unexplainable magic! This is the original effect of “Unshuffling The Faro Shuffle” by Paul Gertner. 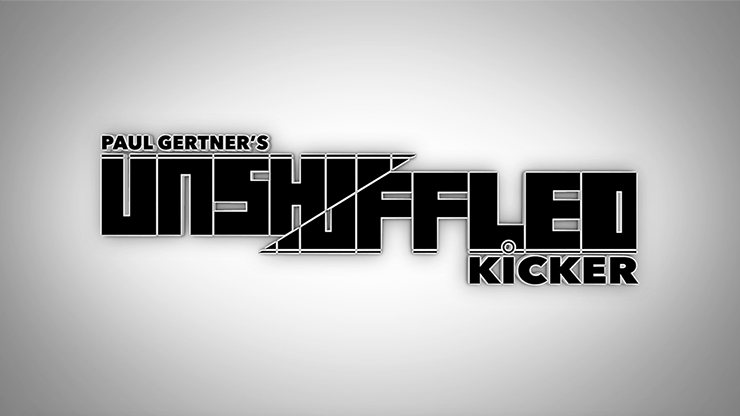 The Paul Gertner’s “kicker” is to perform yet another “unshuffle” and the entire deck is shown to now consist of all red cards gathered together in one half of the deck while the black cards are together in the other half. The deck is squared up and the message on the edge now slowly morphs into PENN & TELLER, an unexpected kicker! Of course, this kicker message can be customised to whatever message you wish. It can be the name of a second selected card, or even HAPPY BIRTHDAY! You receive a very well produced instructional DVD with an easily manoeuverable menu, and a precision made gimmick for the “kicker” ending. Unlike his first effect “Unshuffling The Faro Shuffle”, this does not come with the ready-made deck. You are taught how to construct this deck in the DVD. Paul is a very good teacher and everything is explained in a well organised and easy to understand manner. The kicker gimmick is ingeniously conceived and well-made. It enables a blurred message on the edge of the deck to slowly morph into your kicker message. You are taught how to customise this gimmick to suit the brand of poker-sized deck that you are using. You are also shown how to properly ink your kicker message on this gaff and how to maintain the gimmick so that it will give you prolonged use. 2 methods are taught on how to use this kicker device. One is used in conjunction with your card box – this is the easy method. The second method is the one used by Paul for “Fool Us”. This requires some DIY on your close-up pad. Reading the effect, it becomes clear that you need to do several perfect Faro shuffles. Paul covers this very well in the DVD. For those who are not confident in doing perfect Faro shuffles, Paul teaches a “no Faro” version which is also quite effective. You do not have the UNSHUFFLED message on the deck, but the inked markings on the edges of the cards magically morph into the name of the selected card! In other words, you have only one transformation of the haphazard markings to the revelation of the selected card. The selected card is then found inside the empty card box. This part of the effect is not found in the original routine. Then, as a bonus, if you wish to have it, the deck unshuffles itself into new deck order except for the missing selected card! The entire deck can then be examined. Anthony Owen is a creative British magician who was the editor of “The Magic Circular” as well as “The Dungeon”. He has won awards especially for his TV work such as in “The Quick Trick Show”, a kids magic TV series. He also produced Derren Brown’s TV shows. Together with another ritish magician, John Lenahan, he started a magic and comedy clu show entitled “Monday Night Magic”.Anthony Owen is a creative British magician who was the editor of “The Magic Circular” as well as “The Dungeon”. He has won awards especially for his TV work such as in “The Quick Trick Show”, a kids magic TV series. He also produced Derren Brown’s TV shows. 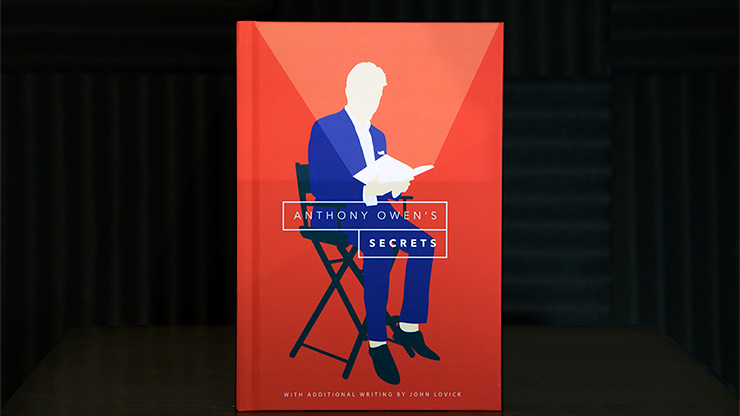 Together with another ritish magician, John Lenahan, he started a magic and comedy clu show entitled “Monday Night Magic”.“Secrets” is a well produced hard cover book by Anthony Owen. He said in his own Introduction to the book that his approach to magic is to strive for the strongest possible effect. You can expect that this book contains his greatest creations. Published by Vanishing Inc, this 237-page book contains 43 effects divided into 8 chapters. The first chapter is a bulky one entitled “Sticky Tricks” and occupies about a third of the book. 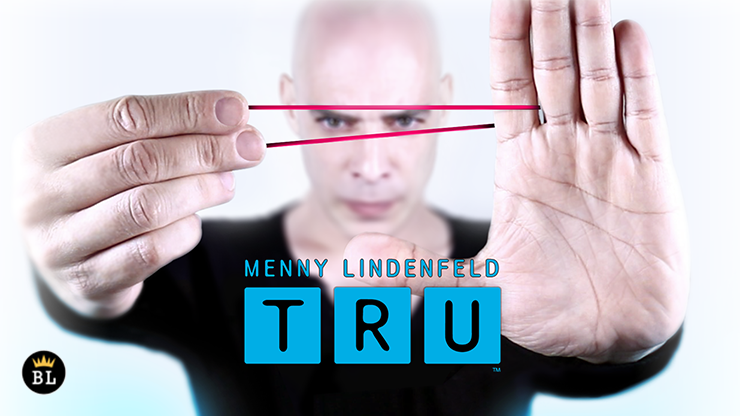 It is based in parts on his original booklet “The Sticky Blue Book 2.0.” It comprises 14 tricks utilizing a special 2-way glue that is more superior to magician’s wax. This chapter includes his super-clean oil-and-water effect called SOBW (Sticky Oil, Blue Water) with alternative endings, as well as his marketed effect “Miracle Monte 2.0” which is another super-clean find-the-lady 3-card monte type trick using the Queen and blank cards. Other effects worthy of consideration in this chapter are “Sticky Blue Danube”, an anniversary waltz card effect, and “Signed Card Anywhere” based on Chuck Fayne’s card-on-seat. cil-through-coin where the spectator removes the coin from the pencil herself, and an easy but creative method of performing coin matrix without using any sleight-of-hand or shell coin. In the fourth chapter “Out Of This Chapter”, Anthony gives 3 variations of Paul Curry’s original “Out-Of-This-World” effect. His main objectives are to enable a spectator to shuffle the deck of cards, and that there is no swapping of packets half-way through the routine. His 3 contributions achieved both aims. 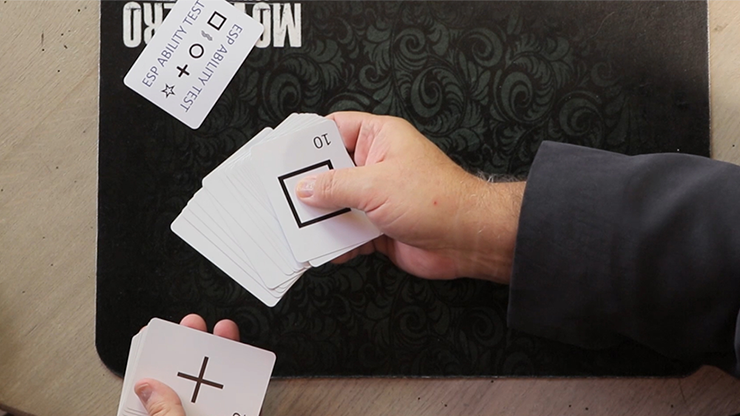 “Cards” contains 4 card tricks utilizing gaffed cards. There is “The Birthday Deck”, his take on Dan Halan’s Card-Toon Deck, a version of his “Holy Sh*t” trick and a transposition card effect called “The Miracle Card” that he collaborated with John Lenahan. The “Mentalism” chapter showcases 4 excellent effects. “Killer Kombustion” is a cunning take on Kenton Knepper’s “Kolossal Killer” that eliminates the “one off” ploy. “Re:Monition” is smart method of vanishing a randomly named card in a blue deck to have it reappeared face downwards in a cased red deck. “Number At Card” is a devious presentation for ACAAN where the card named and the number called are totally random. “The Natural Lottery” is an interesting creation of Anthony where the 6 numbers in a lottery ticket are divined by 6 different members of the audience. The final and eighth chapter is entitled “Television Trickery”. It includes 3 magic effects each fashioned after a popular TV game or reality show. “Who Wants To Be A Magician?” allows a spectator to always choose the correct answer among 3 others to any question asked, although her choice each time is random. In “Big Survivor 2”, the magician predicts in advance which one of 5 spectators the audience will pick to survive to the end. In “Deal Or No Deal”, a spectator wins a million dollar when she picks one out of a dozen sealed envelopes. These are followed by 2 highly visual effects. One is the vanish of a borrowed finger ring to reappear trapped within the metal bindings of a small notepad. The other one is a weird trick where the magician drinks white coffee and then spits out its various ingredients such as water, milk, a lump of sugar and coffee beans. Anthony also offers 3 interactive magic popularized by Max Maven where the audience at home can interact with the performer in the TV. Rounding up this chapter are 10 valuable tips provided by Anthony for performing on TV. The book is choke full of magic for all occasions and all types of performers. There are effects that depend on sleight-of-hand, others that work on subtleties, methods that rely on gimmicks, and tricks that are self-working. Many of the effects include the patter used by Anthony. Credits are given where they are due, and these make for interesting reading of the history and evolution of a trick. The ingenuity of the author is evident in all the effects. The entire book is a study on how Anthony is able to use creative thinking to come out with solutions to overcome the weaknesses in a classic trick. Any magician should be able to find more than a couple of effects to add to his performing repertoire. Some of ideas expounded in this book can help you come out with new effects or improve on your existing tricks.